The AAMT is a regional chapter of the Canadian Association for Music Therapy (CAMT), the national accrediting body for music therapists in Canada. 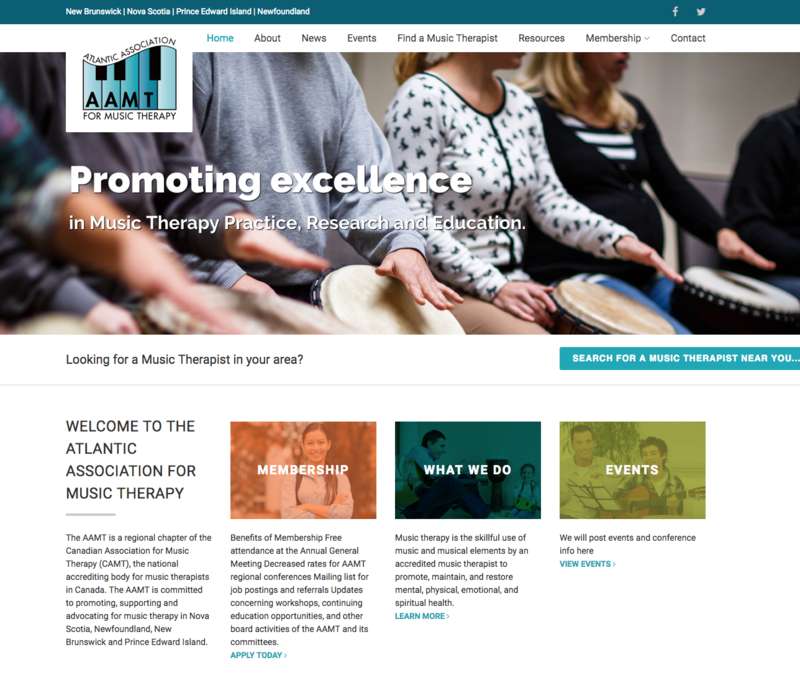 The AAMT is committed to promoting, supporting and advocating for music therapy in Nova Scotia, Newfoundland, New Brunswick and Prince Edward Island. The AAMT approaced Eastwood Design to design a new website for their association. The site features a searchable database of musical therapists in Atlantic Canada, news and events, membership sign up and renewals. The site allows the AAMT to easily update important information for its members and the general public. The site also features a secure members area. Each member of the association uses a unique login to access private and secure documents and to post and reply to messages on the members only message board.